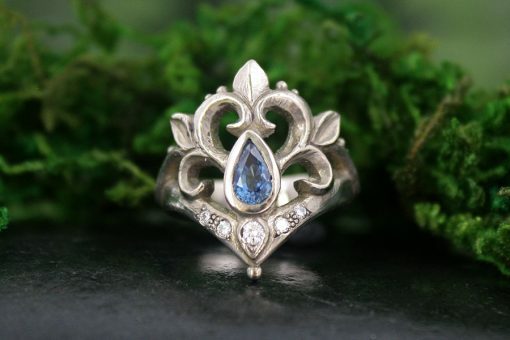 The Aurora Ring is a hand carved beauty using the lost wax method and cast in 14K palladium white gold with a teal coloured pear shaped sapphire and a lower crown of pave set diamonds. Born of crashing wave and undulating sea, infused with the golden light of the setting sun and wrapped in tendrils of Mother Nature’s leafy embrace. 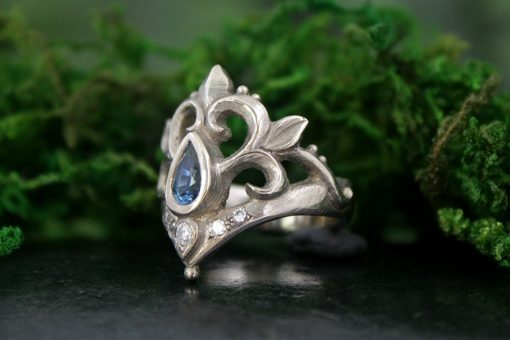 ~Aurora~ is a crown and a shield…a warrior of a ring. A talisman and a protector of your heart. 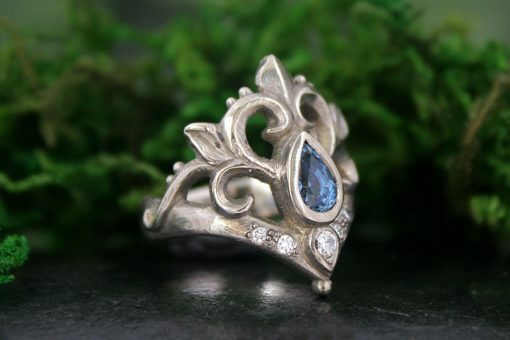 The teal blue sapphire is comparable to a twilight sky. I hand select all of my gems based on their divine clarity and rich colour with the perfect cut. The diamonds all f/g colour VS quality. Hand carving a ring of this complexity is about 25 hours of carving time. Once I get an idea in my head I am compelled by curiosity and a passion for creation. This beauty was inspired by century old wrought iron gates and castles by the sea. Aurora may be customized with a different colour sapphire, rose cut diamond or diamond, created in the gold colour of your choosing. Message me with your inquiry! Currently Aurora is a size 5. She could be sized up or down by two sizes, otherwise I will create a new one. If sizing I will mail in 7 business days. If re-creating I need 4-6 weeks for a loving construction. 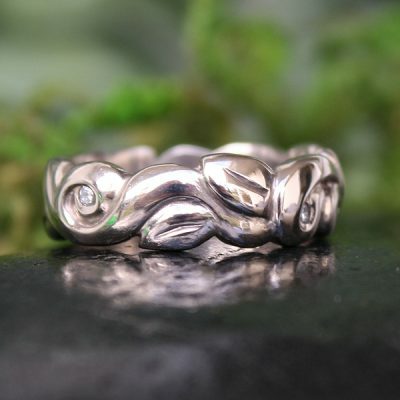 If you have a nickel allergy palladium white gold is non-reactive, which makes it the best choice for your ring. 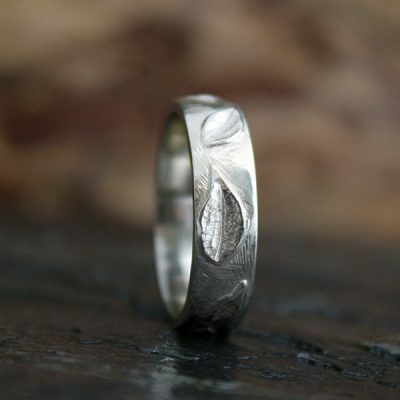 If you love the crisp white colour I can rhodium plate for that wintery white. 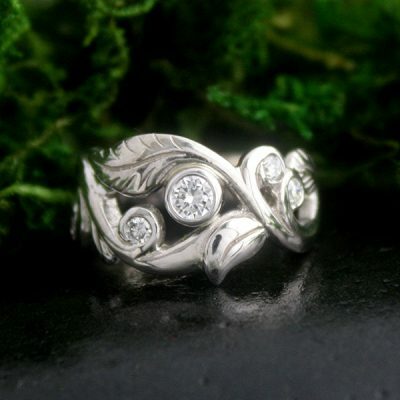 Palladium white gold has is a grey white with a slight undertone of yellow peeking through.